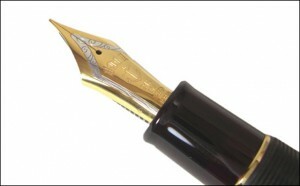 Its thick and long body together with a large pen nib creates a unique balance that gives you the feeling of comfort. Ebonite is one of the oldest synthetic resins and it is a traditional material said to be the most suitable for the pen body, but since it reacts by color changes when exposed to sun light or strong electric light, there is a tendency to avoid it these days, however, the touch of durability and flexibility makes you feel you do not want to stop using it once you have tried it. In comparison with Profit 21, the pen nib is 1.5 times bigger and with its thick and long body in the good balance with the large pen nib, it gives you the joy of writing. 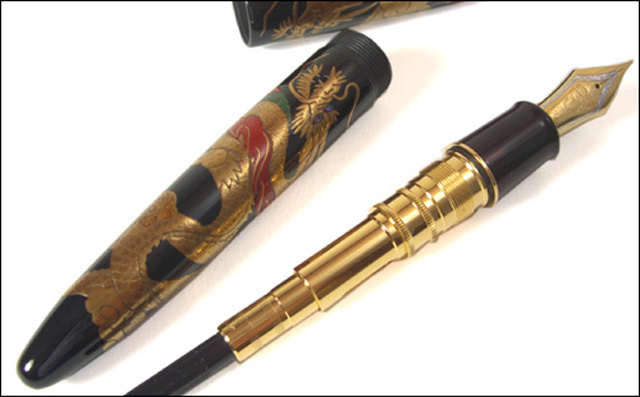 Moreover, the body is decorated with the several hundreds years old Japanese artistic traditional work, which the Japanese are proudly showing to the world, the craft known as “Kaga Makie”. 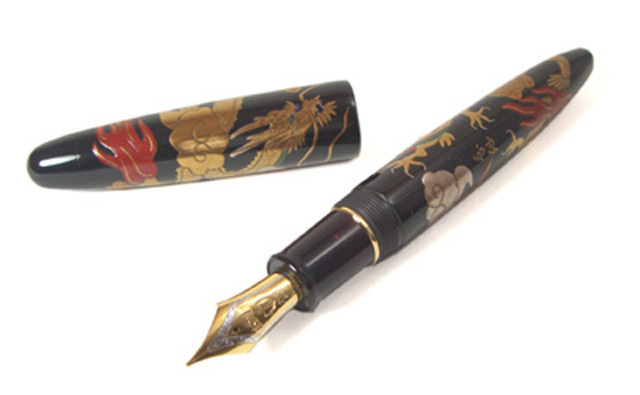 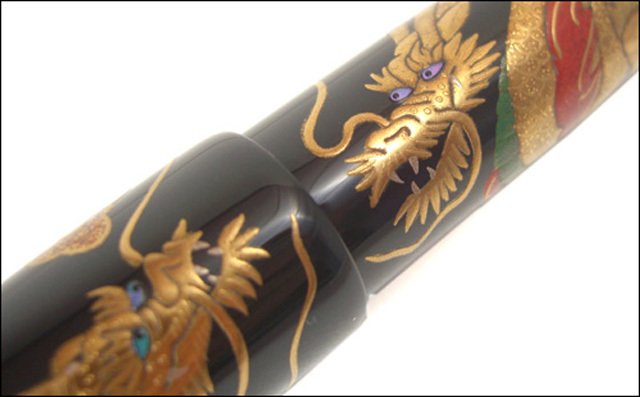 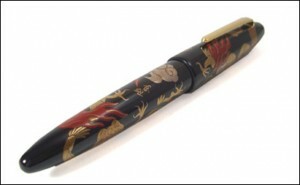 The Kaga makie artist, the second generation, Ooshita Kousen, in the Takamakie requiring the higest technique, created the heaven ascending “Dragon”, which makes this pen body a fine artwork and a masterpiece.